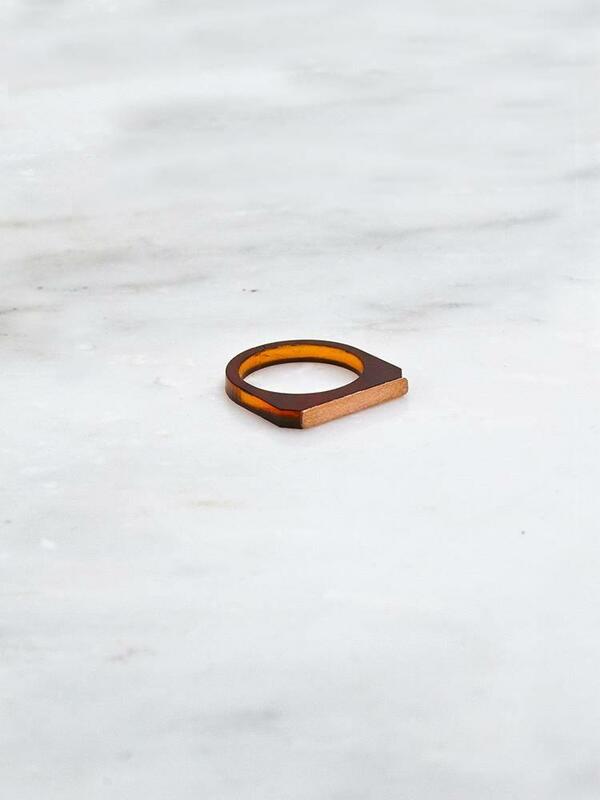 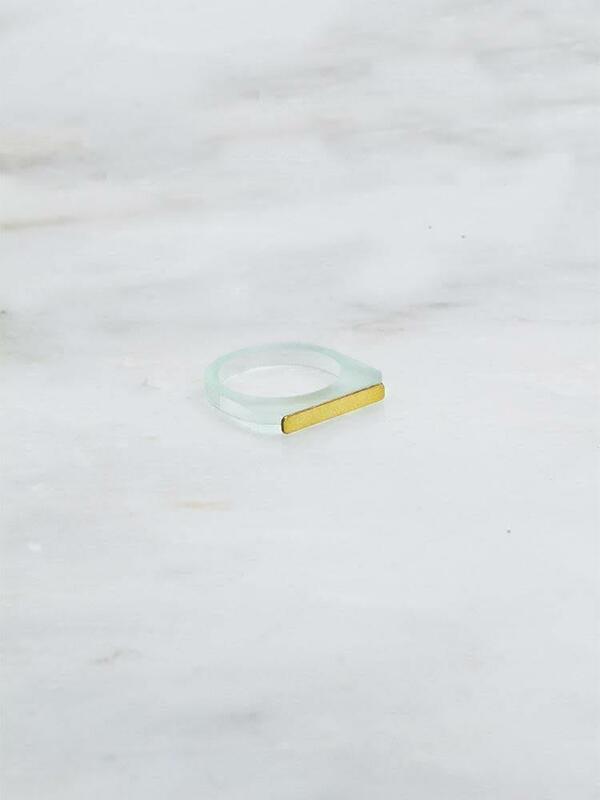 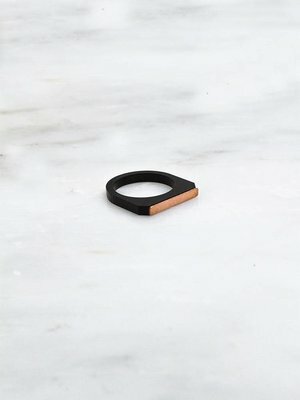 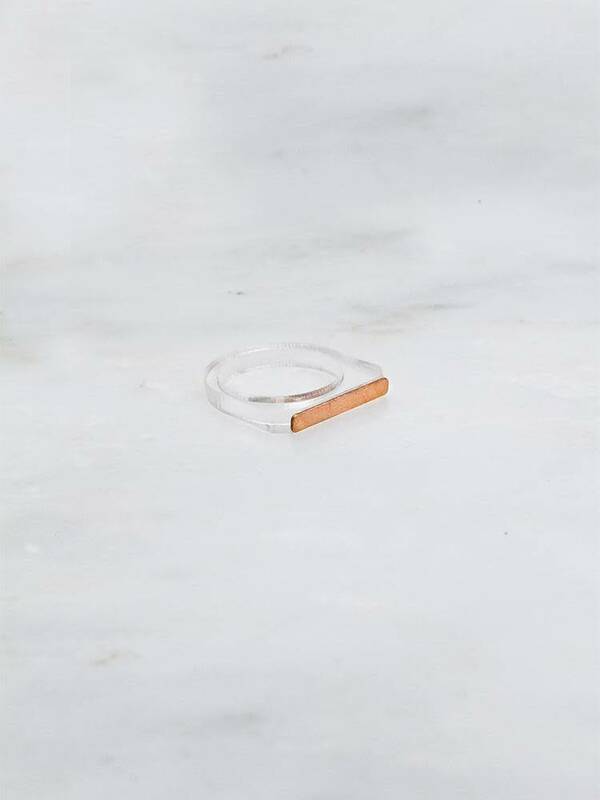 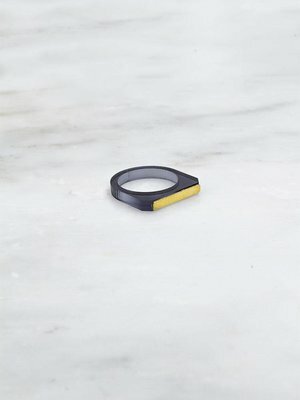 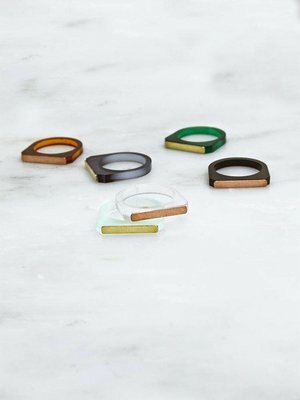 Our favourite everyday ring, with a coloured acrylic base and brass or copper detailing. This versatile and timeless ring looks great with more than one stacked up to show off your own personal style. 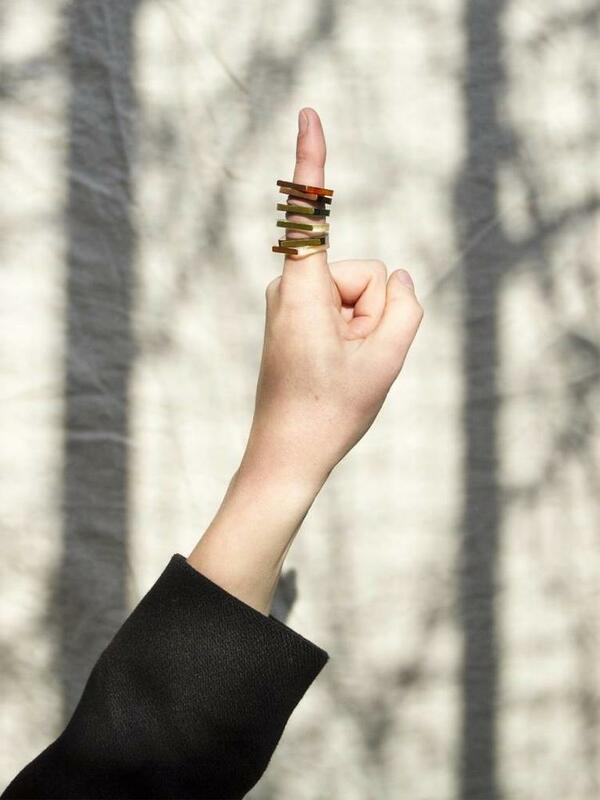 Handmade in the W&M East London studio. Made from acrylic and brass/copper. Each ring is 3mm thick. 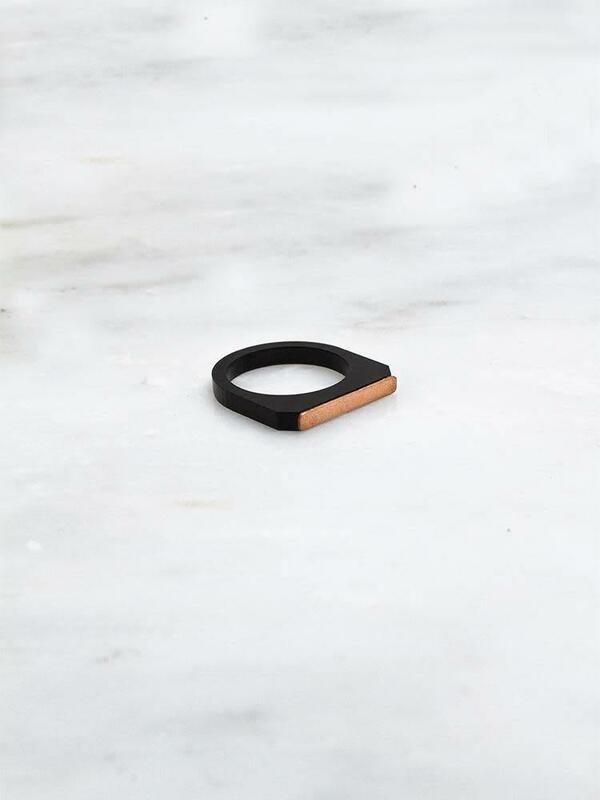 Clean gently with a soft cloth. It is best not to sleep, shower or exercise whilst wearing your jewellery.